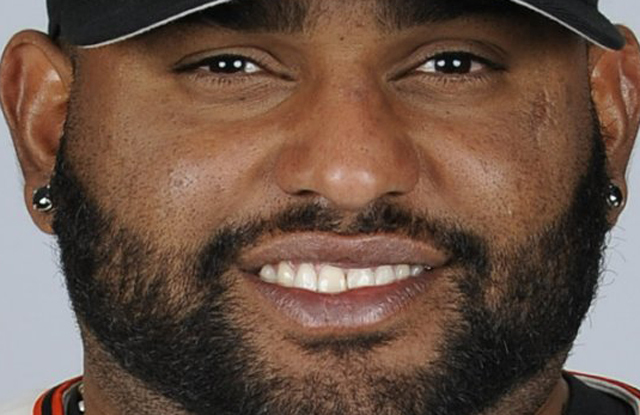 God knows it’s not easy being Pablo Sandoval these days. Poor guy got lambasted for showing up at camp ridiculously out of shape, all but lost his starting job to Travis Shaw, became persona non grata across the fan base and local media, and had to endure his agent comparing him to a sleek and expensive foreign sports car. None of this, however, holds a candle to the latest embarrassment, which involved his belt giving way and literally exploding against the force of his shifting gut during a swing-and-miss in yesterday’s game. It was the type of moment that the internet was invented for. Sadly, it was also Sandoval’s lone highlight for the day, as he went an uninspiring 0-for-4 at the plate and made an error in the field. As for the rest of the game, Rick Porcello spotted the Jays two runs out of the gate, but it still couldn’t keep the Red Sox offense from once again bailing out their starter. Pedroia had three hits and Special Guest Star Rusney “Remember Him?” Castillo went 2-for-4. Yes, I hope our starters work out their early season glitches, but our offense is shaping up to be a monster. Hopefully by the time summer rolls around it won’t matter if Price or Kelly are starting, we’ll still be in the game. Oh and did I mention Sandoval’s belt? What does he care,He still gets paid regardless of being totally out of shape. Just another slap in the face to the fan base.